ScareFest 9 had fans of old-school slasher films very excited, as this year they had numerous guest celebrities from the classic campsite horror films such as Friday the 13th and Sleepaway Camp. 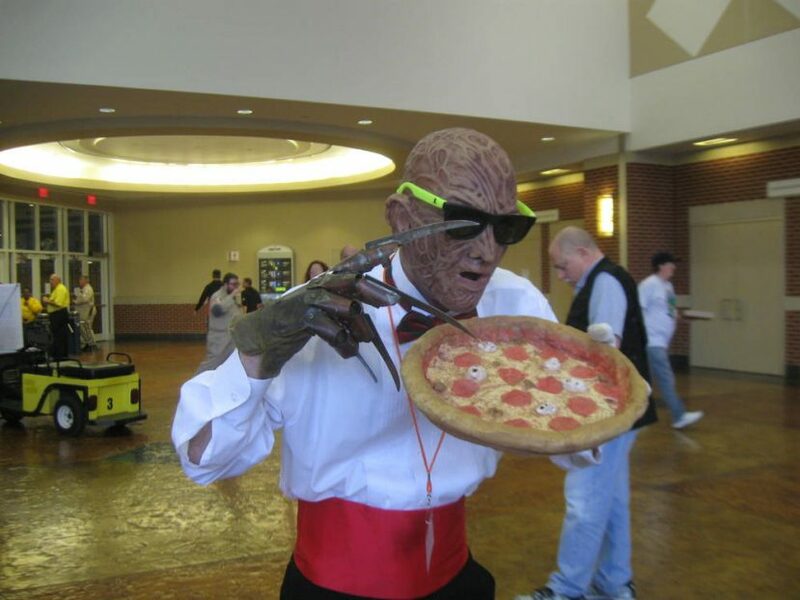 Needless to say there were many cosplayers this year dressed up as the famous slasher, Jason Voorhees. 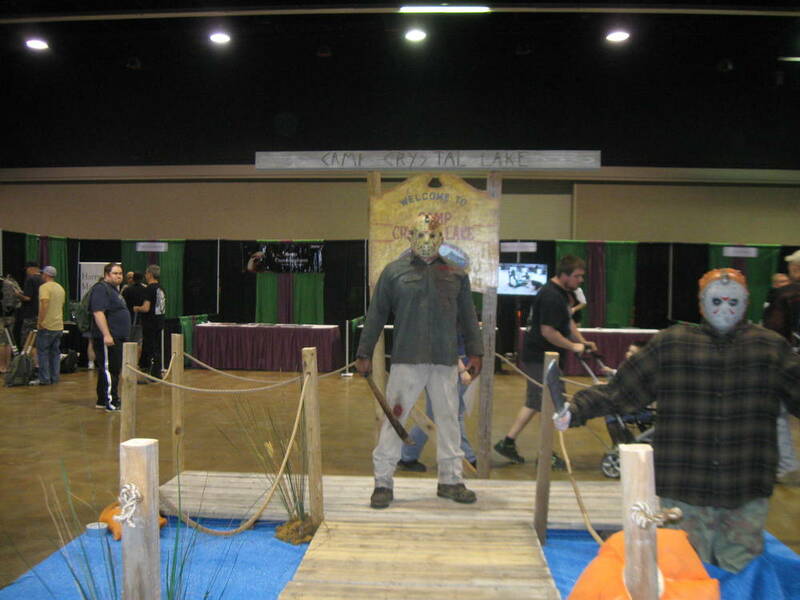 A Camp Crystal Lake setup with a real life Jason Voorhees posing for pics. 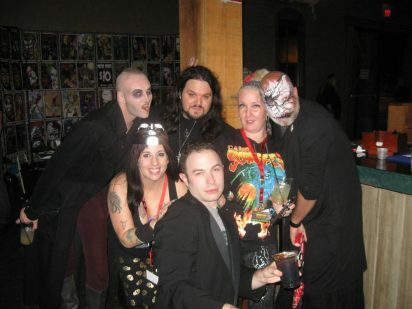 ScareFest began a new tradition this year, as there was a launch party at Manchester Music Hall Thursday night before the event. Even though it wasn’t the weekend yet, the turnout was much bigger than I expected. 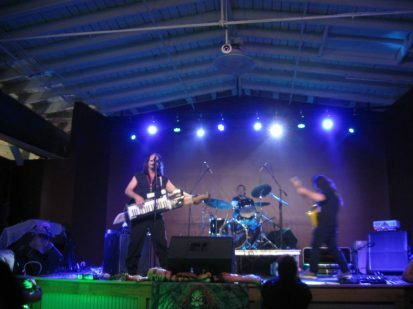 Hosted by Ari Lehman, the first Jason Voorhees and frontman of the band First Jason, the night consisted of food trucks, an open bar, DJs and live performances by 13Pagan Holiday13, Grave Robber and First Jason. 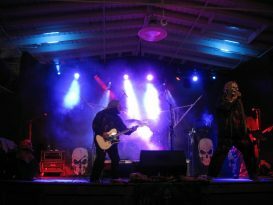 We at DarkestGoth were proud to sponsor one of the bands, and I was asked to do an introduction and a little comedy bit. 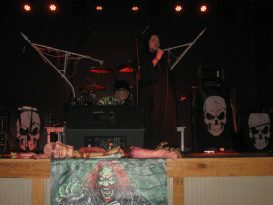 13Pagan Holiday13 opening with their form of horror rock! One wandered in amazement at Camp ScareFest, especially when reaching the special Camp Crystal Lake setup, where thirteen (coincidence?) guests from the Friday the 13th franchise were stationed, including four actors who portrayed Jason Voorhees (Ari Lehman, C.J. Graham, Steve Dash and Kane Hodder) and Henry Manfredini, the composer of the original film. We can thank Mr. Manfredini for the “ch-ch-ch ah-ah-ah” that haunted many of us growing up. The seminars that we attended this year were extremely informative and very entertaining. We sat in on two by Mr. Kyl T. Cobb. He spoke on the facts behind the Exorcist, giving the true story that inspired the movie. The details surrounding that case are quite chilling. He also exposed the legend of the Bell Witch as having very little truth behind it. International demonologist Jason Love brought in supposed cursed items that had entities/demons attached to them. The stories he told sounded like stuff you only see in horror films. And lastly, Nic Brown taught us about the Beast of Gevaudan, a creature(?) who attacked and killed as many as 113 people in Gevaudan, France. 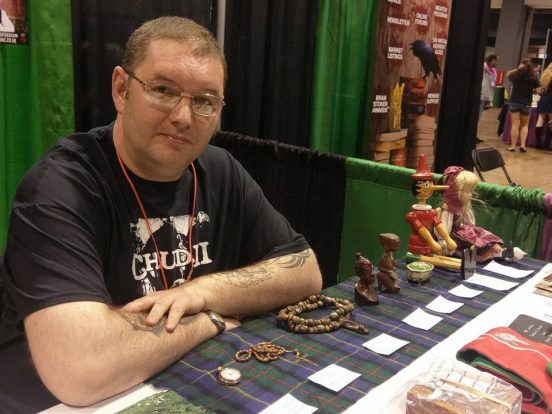 International demonologist Jason Love, displaying his cursed items he has collected from cases of hauntings. 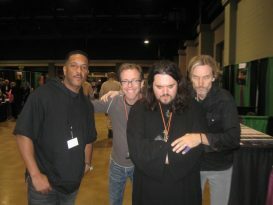 The People Under the Stairs reunion with Brandon Adams, Sean Whalen and Yan Birch. 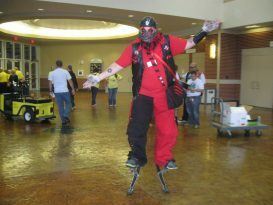 Calypso Clown returns this year with his air gun and new tricks. 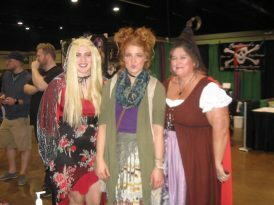 Last year we focused on celebrity guests, this year we focused on the vendors and attendees. The cosplayers focused a lot on Suicide Squad. 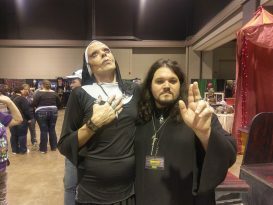 I lost count of how many Harley Quinn’s we ran across, my favorite being Sammy Bates of Rotting Corpse Productions. I couldn’t believe that there wasn’t even one Deadpool at the event after the success of the film earlier this year. 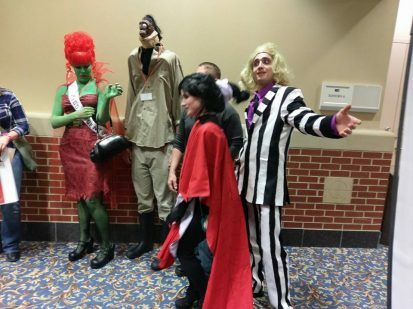 An amazing thing happened in the world of Beetlejuice. 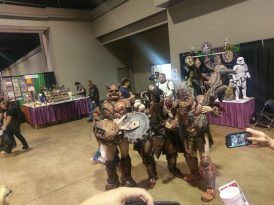 Many different cosplayers were dressed as different characters from the film, and they all ran into each other and posed for a lot of pictures. Due to the connections we made last year, this year was more like a family reunion than anything. Seeing the people we befriended after a year meant a lot of hugs, smiles and laughter. 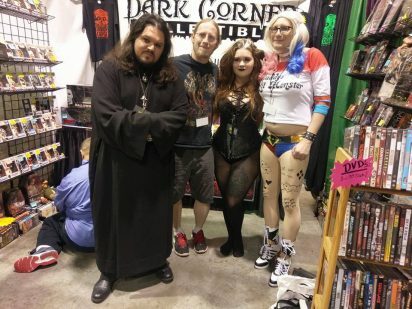 So many “normal” people who do not understand the paranormal or horror do not know the love and positive vibes that exist between people within the convention. 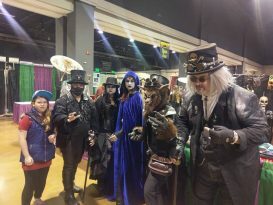 There is no hatred, no judgment nor isolation at the ScareFest; just a horror family of compassion that goes beyond gender, race, and religion. 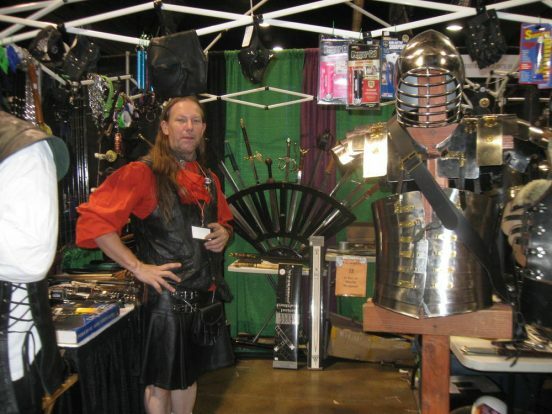 Vendor selling items from Medieval times. 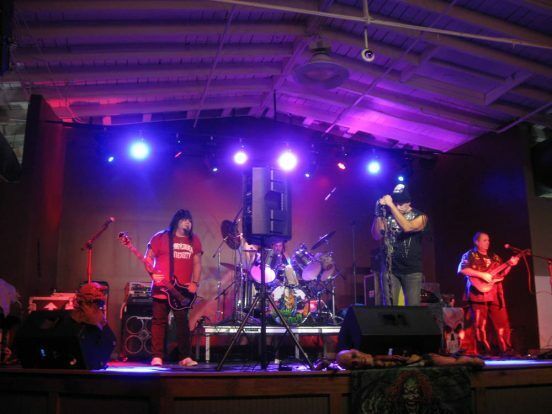 When the time came to pack up the tents and leave, Camp ScareFest was a place of long goodbyes and farewells, and hearing numerous new attendees say that it was the best con they’d ever attended. I would have to agree. 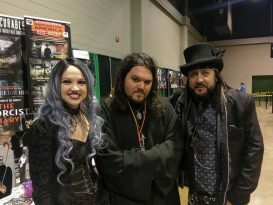 We 13PAGAN HOLIDAY13 Wish to thank everyone at Scarefest and Darkest Goth Magazine for this amazing experience. We loved performing for everyone at the Launch Party and meeting everyone at our Booth. An amazing…enjoyable time for us all .